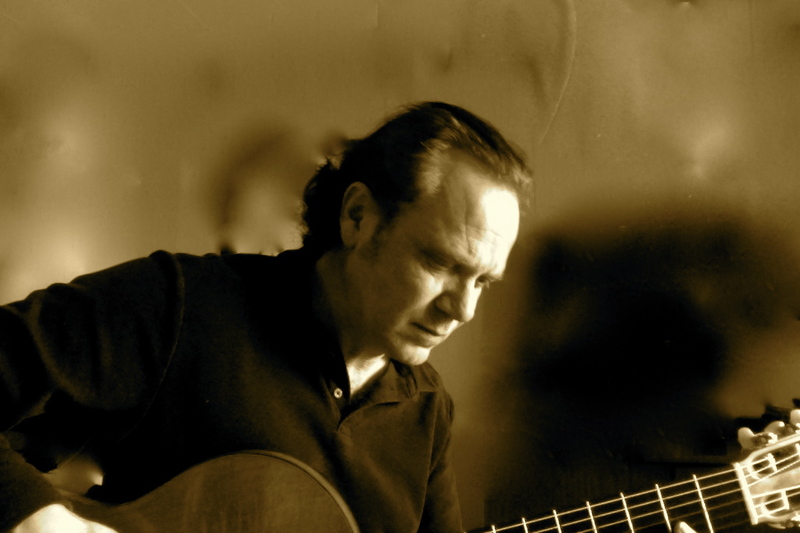 Robin is frequently asked how he maintains speed, accuracy and fluency for prolonged periods whilst playing the guitar. 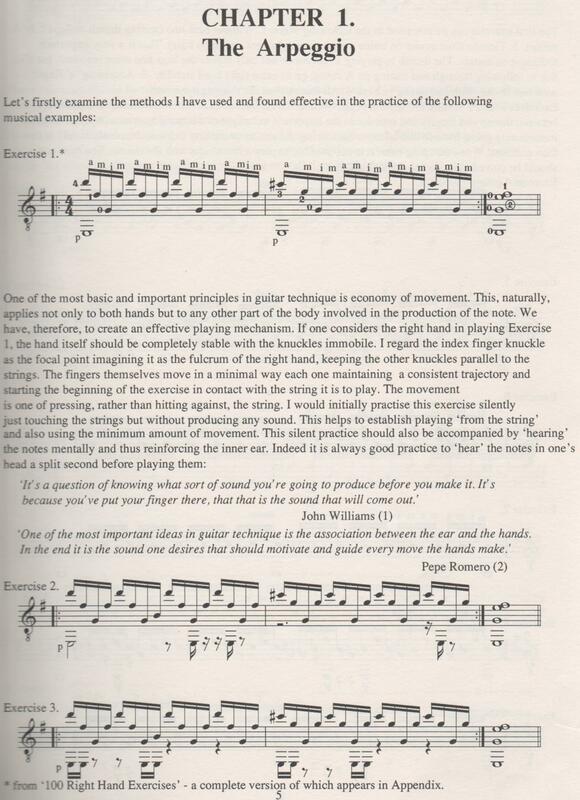 Although this may not be what aspiring performers want to hear, one of the answers lies in, 'The Arpeggio'. 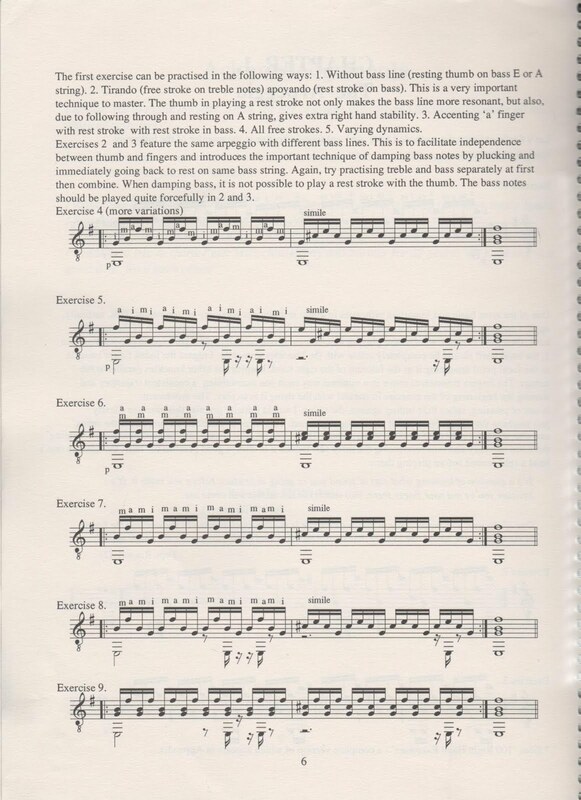 The Arpeggio is a basic technique which is encountered in nearly every piece and is an excellent and essential technical exercise. Even after more than 40 + years as a performer Robin will still practise arpeggios on a regular basis. 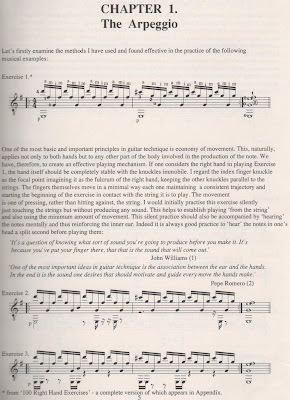 Chapter 1 of Robin Hill's, 'The Guitar Gymnasium' focuses solely on the arpeggio and contains 18 pages of explanations, advice, quotes and original exercises. 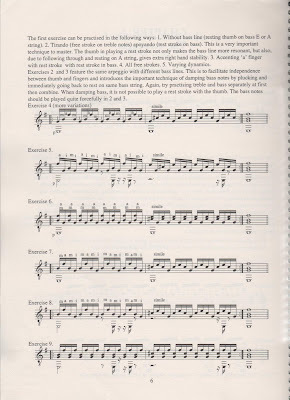 Today I have decided to show you the first two pages as an example of the approach Robin uses. Click on the image to enlarge if required.